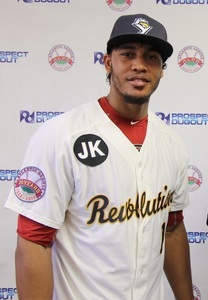 (April 3, 2019, York, Pa.) — The York Revolution have signed right-handed pitchers Julio Perez and Andrew Carber to contracts for the 2019 season. Both pitchers attended the Atlantic League Player Showcase this past weekend in Lakeland, FL. The deals were announced by Revs manager Mark Mason on Tuesday night’s episode of “Revs Hot Stove Weekly presented by Shipley Energy” on SportsRadio 98.9 FM and 1350 WOYK. Perez has spent time in the Baltimore Orioles and Arizona Diamondbacks farm systems. The 27-year-old was originally signed by the Orioles out of his native Dominican Republic as a 17-year-old in 2009 and spent four seasons with the Orioles’ Dominican Summer League affiliate, posting a 3.32 ERA in 18 relief outings during his best season in 2012. After a brief stint in the Frontier League, Perez signed with the Diamondbacks and showcased a 1.88 ERA with four saves during a terrific 2016 season spent mostly at Class A Kane County. The fireballer allowed just 14 hits in 24.0 innings with 27 strikeouts in a total of 21 outings that season. Carber comes to York at just 23 years old, having spent time in the Boston Red Sox organization to begin his pro career. 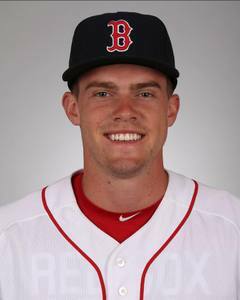 A 30th round draft pick out of Chipola (FL) College in 2017, the 6-foot-9 righty spent time with the Red Sox in extended spring training before seeing game action in the Gulf Coast League. Carber is a local product, hailing from Blue Bell, PA in the Greater Philadelphia area, and was an All-State golfer at Upper Dublin High School. Carber originally attended Clemson University on a golf scholarship before pursuing baseball. His draft selection by the Red Sox came after leading Chipola to a title at the Junior College World Series. The Revs now have 24 players under contract for the 2019 season and will unveil final preseason signings on the year’s final episode of “Revs Hot Stove Weekly presented by Shipley Energy” on Tuesday, April 9 at 6 p.m. on SportsRadio 98.9 FM and 1350 WOYK, 989woyk.com, and on The New WOYK app. Revs broadcasters Darrell Henry and Brett Pietrzak will host the show live from Fenderz Grill & Pub located inside the Wyndham Garden York.